The Upstate Workforce Board and the Greenville Workforce Development Board have issued the following Regional Policies. Please note that both boards are in the process of identifying additional joint policies. Should you not see a Regional Policy on the desired topic, please refer to the appropiate local areas local instuction letters. For additional guidance, please review State Instruction Letters and TEGL's when neccessary. 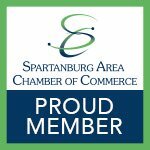 You may also contact Dana Wood wood@upstateworkforceboard.org for questions pertaining to Cherokee, Spartanburg and Unon Counties. Eva Anagnostis can be reached at eanagnostis@greenvillecounty.org for questions pertaining to Greenville County policies. 18-13 Definition of "Substantial Layoff"